Is Washington, D.C. the capital of cupcakes? When I was in Washington, D.C. last week, it seemed like no matter where I was in the city, there was a cupcake shop nearby. I unexpectedly managed to visit two of the top shops in the DC area. After wrapping up a business meeting in Georgetown, I had some time to walk around the area. My friend had told me that I visit Georgetown Cupcake. I asked my DC colleagues about it, and they recommended that I visit Baked and Wired instead. When I headed out on my own, I had the address of Baked and Wired but no map or directions so I didn’t think I would find it. But after walking for a few minutes, I found myself right in front of the shop. 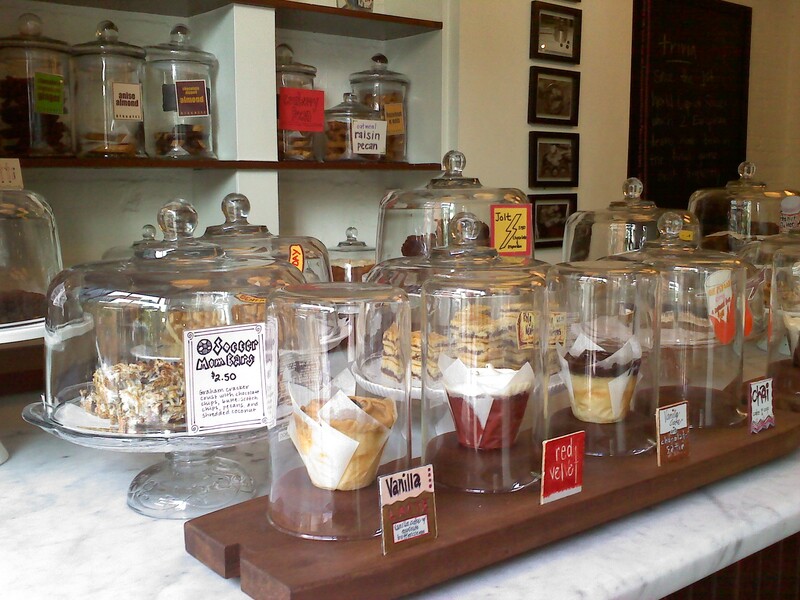 I loved the way they display the baked goods under glass–especially the cupcakes. Tagged as Baked and Wired, Bakeries, Buttercream, Cake Love, CakeLove, cupcakes, Food Network, Georgetown, Love Cafe, orange and chocolate, Strawberry, Sugar Rush, U Street, Warren Brown, Washington D.C. This time last week, I was headed to Washington, D.C. on business, and I was not looking forward to the trip at all. Flying from Seattle to the East Coast is a grueling affair. Even if you’re excited about your destination, it’s long–no matter the amount of reading material, Sudoku puzzles, iPod playlists or DVDs you bring with you. It does help to have good food. Tagged as Air travel, couscous salad, Dish D'Lish, Kansas City International Airport, Kansas City Missouri, Midwest Airlines, Sea-Tac Airport, Seattle, Washington D.C.
Good weather and ample parking brought out the crowds for the opening day of the Georgetown Farmers Market last Saturday. 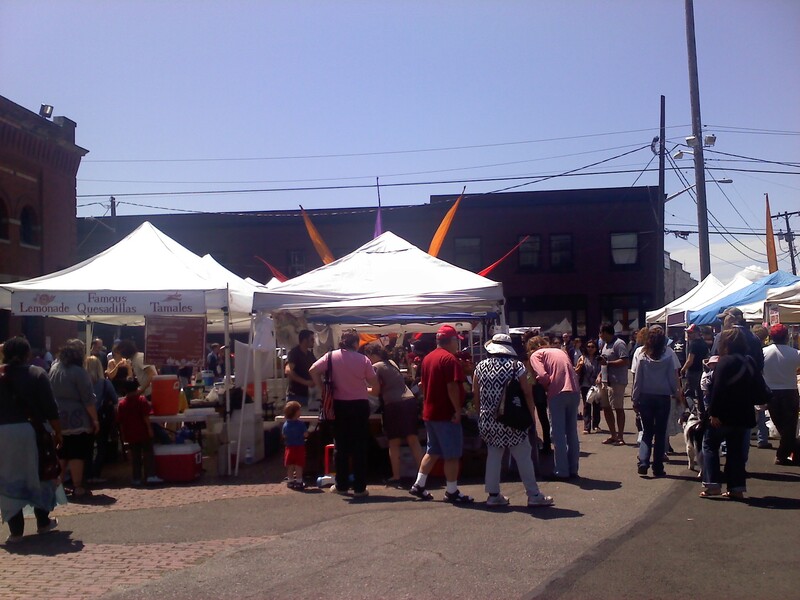 The food vendors were overwhelmed by the throngs of people lining up for lunch. They could not keep up with demand and quickly ran out of food. Luckily my husband and I got there early enough so we didn’t come away empty-handed.